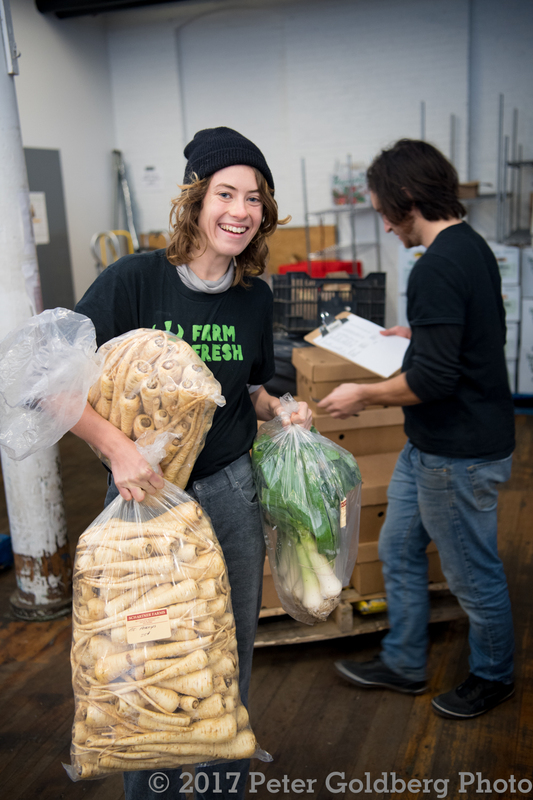 Part of what I love about Farm Fresh is that its mission is simple and sensible, yet its holistic approach to building and supporting a local food system has made a huge impact. 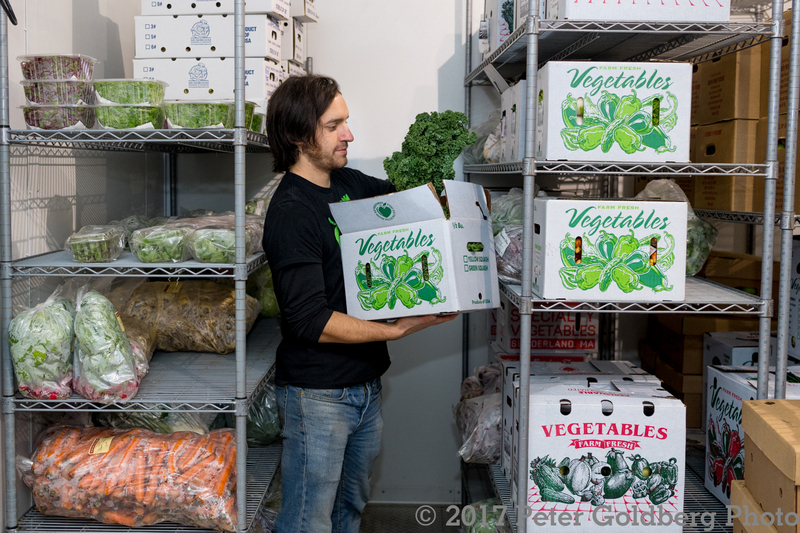 I recently got a glimpse inside the heart of Farm Fresh when I was invited behind the green walls to photograph work at the Packhouse. It’s 5:30am on a cold, dark winter morning and the place is a buzz of activity. 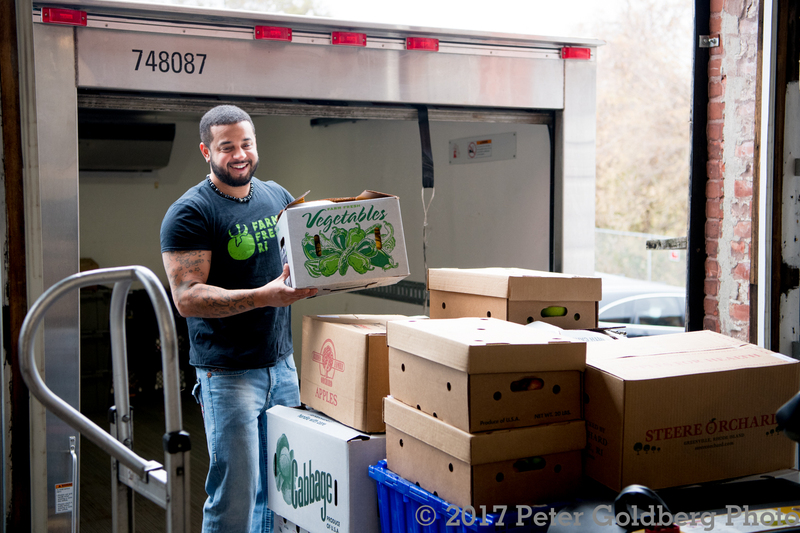 During the day, food is delivered from farms, dairies and producers from all over Rhode Island. Pickers gather the food and box it up to fill orders. The pickers move fast between walk in freezers, refrigerators and dry storage spaces, filling boxes that move down the conveyors. 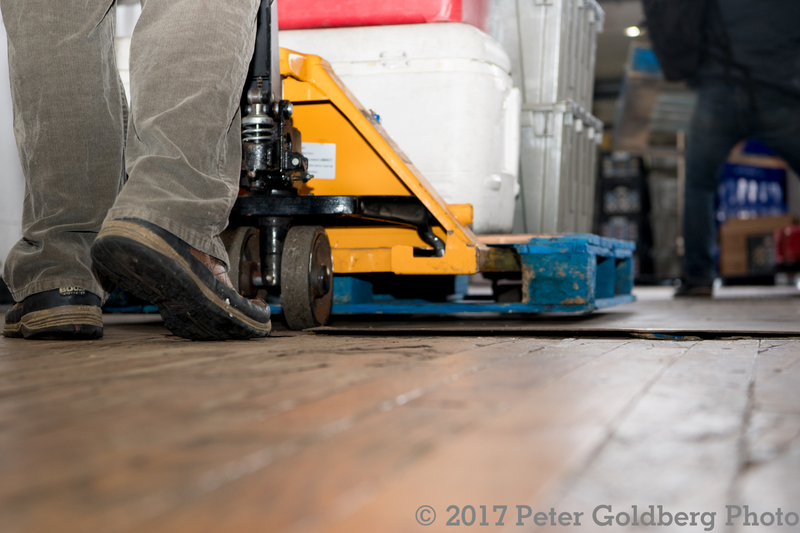 Each box is then checked and double-checked before it is placed on a pallet to be wheeled through the mill space to the two Farm Fresh trucks on the loading dock. 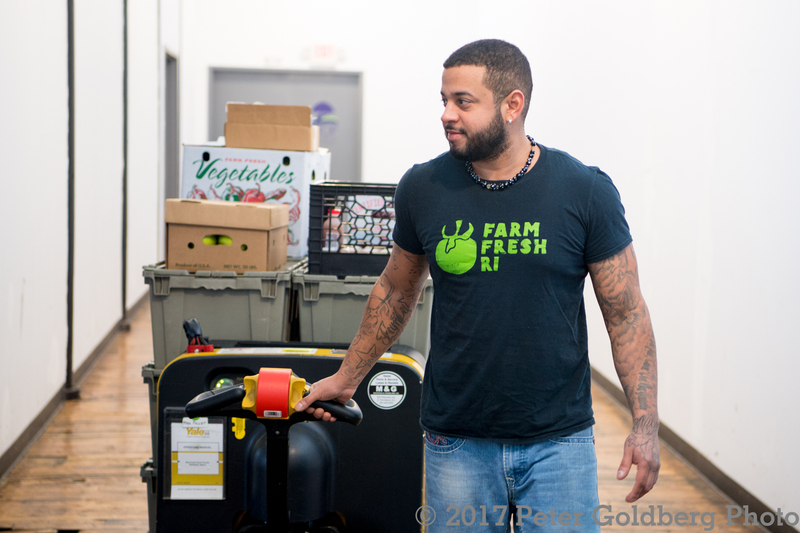 The workflow here is similar to any distribution center like Stop & Shop or Amazon, but this is Farm Fresh. It feels more like a small family business. There is a lot of love packed into these boxes. There is a face and a life and a story behind everything that comes in and out of this modest space. In a year or two, they plan to move to a much bigger location, so we will be able to look back and remember how much they have grown. This entry was posted in Farms and tagged Farm Fresh RI, photography, Rhode Island, RI. Bookmark the permalink.